NOVO Deck, a Sub-brand of NOVO Kitchen and Bath is a local business based in Vienna. NOVO is a licensed and insured builder that you can trust. We fulfill our business objectives by providing quality materials and workmanship with the support of meticulous customer care. Our work is our reference! We always let our work and our happy customers speak on behalf of us. Sundecks by T & A Contractors, Inc. is a full service design, permitting, supply and install, construction company serving Maryland, Virginia, Washington, D.C., West Virginia, Delaware and Pennsylvania. In business for over 30 years, Sundecks has served the unique needs of home builders and developers in hundreds of communities, from national track builders to multi-million dollar custom home builders. Our experience and expertise in complete outdoor living industries ensures that the process is smooth and efficient. For homeowners, T & A Contractors, Inc. offers design and construction of your deck, addition, porch, landscaping, walls, walkways, steps and fencing to create and complete your outdoor escape. Sundecks follow the latest trends in materials and style for outdoor living and will guide you through the entire design and build process. FINANCING AVAILABLE! Over 25 years ago we started with an idea that the way outdoor living spaces were created could be improved. With some insightful observation and creative innovation we built our business into the nationwide company it is today. Every pergola kit we make is fabricated using premium components and is hand-finished as part of our manufacturing process. Our commitment to quality materials and craftsmanship is reflected in every outdoor structure delivered. By controlling design and manufacturing we are able to ensure the quality of every product as a primary, not secondary, function of what we do. At our core we are makers and craftsmen. We are the exclusive manufacturer of Trex Pergola and Brown Jordan Structures. In 2015, we changed our name from Backyard America to Structureworks Fabrication. PRODeck Construction, LLC is a Class A contractor based in Northern Virginia. As a family-owned business, we put our heart and soul in all that we do. Our staff will work closely with you through every step of the design and building process in order to create a customized outdoor living space for you and your family to enjoy. With more than 14 years of experience specializing in the construction of gazebos, patios, porches and decks, our deck building company takes great pride in our work and continues to provide the most stunning, functional, spacious deck addition for your home. To demonstrate our confidence in our work, ProDeck Construction LLC offers a 5 year of warranty on our projects and highly competitive pricing. 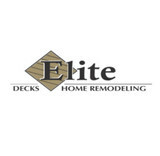 Specializing in deck building, deck staining, deck restoration and we also offer deck repair, maintenance and replacement. We build pergolas, gazebos, porches, sun rooms, patios and under deck roof & storage. Let us make your deck new again. Sunburst Construction Inc has been in business for more than 25 years in the Northern Virginia Area. 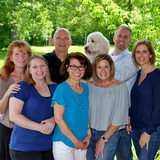 We are a local, family owned and operated company that services Loudoun, Fairfax, Prince William, and Arlington Counties. We are a fully insured Class A, HIC, CBC, RBC, licensed contractor who prides ourselves on the quality of work and service we provide to our customers. Let us help you create a backyard oasis for your home with a new deck, patio, outdoor fireplace or outdoor kitchen and much more! Located in Columbia, Maryland, Timeless Construction is a Home Improvement Company with years of experience designing and installing living spaces. We are uniquely creative and strive to be at the top of our field. We take our projects to artwork levels and are proud that our main source of new business comes through referrals. When we work on a project, our up to the minute industry knowledge and pragmatic approach blends nicely with our inventive zeal to produce well engineered, highly aesthetic products. Our design-build projects are professionallyOutdoor Kitchen handled start to finish. Blue prints, HOA drawings, county permits and details are integrated into every job big or small. Certified Master Deck Professional providing unmatched customer service and one on one personal service in design, & construction of Decks, Screened Porches, and patios for a reasonable price. We take grilling to the next level by combining kitchens and eating areas with the beauty of nature. Completely bringing the comfort of the indoors, outside Clients enjoy comfortable seating and lighting for the outdoor patio and deck areas with state of the art kitchen and grilling equipment. Outdoor heaters can be incorporated into the designs providing full three-season enjoyment. With our region’s cooler evenings, clients enjoy the flexibility of introducing Spring early and enjoying the outdoors late into the Fall seasons. Stone fire pits with surrounding seating create a social conversation area separate from the patio and deck making your space a destination location.